Landing page for the application's webpage. We were intrigued and excited about the multiple uses of the Myo Armband. Though we were impressed by the variety of apps and games enabled by the Myo Armband's functionalities, we ultimately wanted to make a product that had a positive social impact. 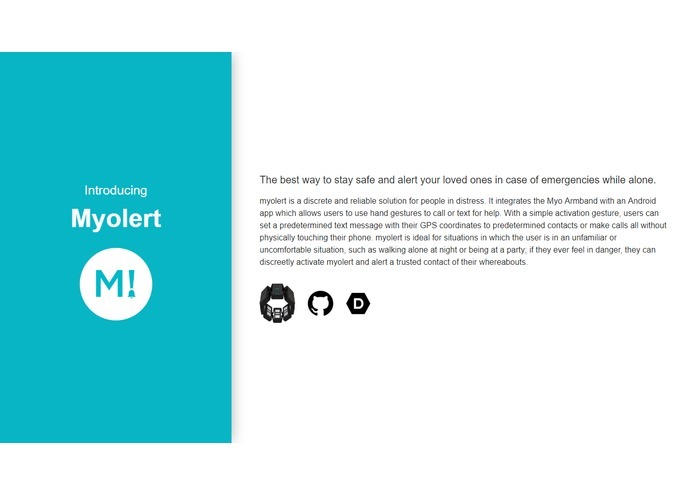 myolert is a discrete and reliable solution for people in distress. It integrates the Myo Armband with an Android app which allows users to use hand gestures to call or text for help. 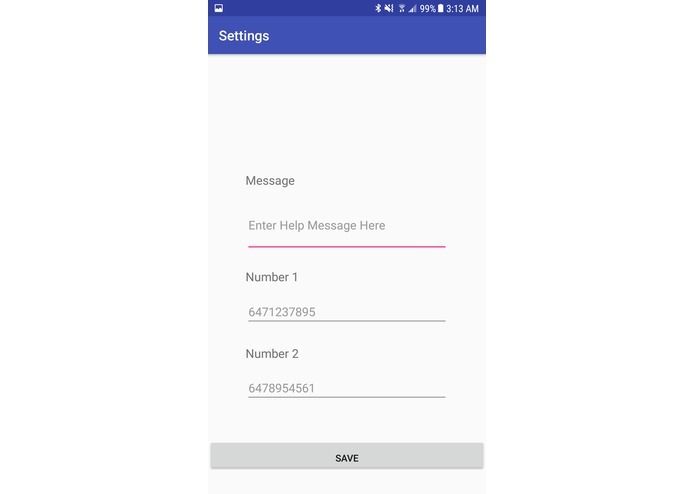 With a simple activation gesture, users can set a predetermined text message with their GPS coordinates to predetermined contacts or make calls all without physically touching their phone. 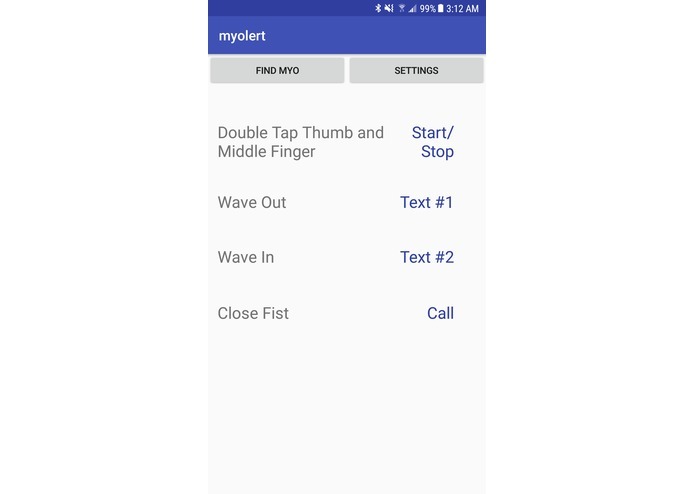 myolert is ideal for situations in which the user is in an unfamiliar or uncomfortable situation, such as walking alone at night or being at a party; if they ever feel in danger, they can discreetly activate myolert and alert a trusted contact of their whereabouts. myolert was built using Android in Android studio, Myo SDK, and Google Location Services. The Myo armband communicates with the phone via bluetooth. This was our team's first time building an android app from scratch; as such, many of the challenges we faced involved setting up an android application and familiarizing ourselves with Android Studio. 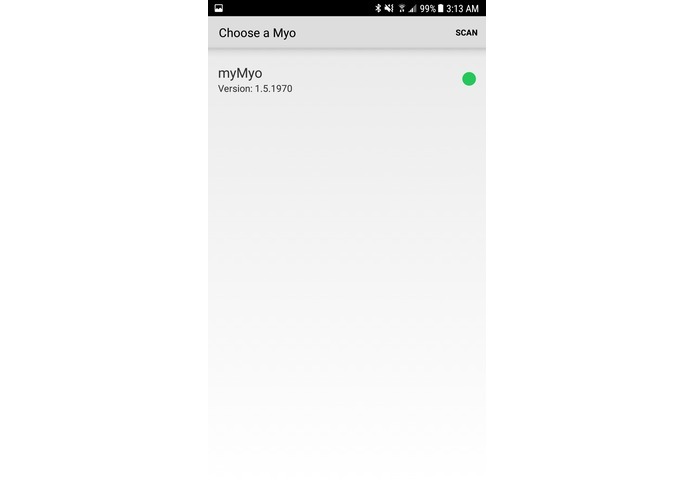 Furthermore, using the Myo SDK with bluetooth proved challenging, as Android's new permissions system conflicted with the information provided on the Myo documentation. Despite working with many new technologies, we are proud of being able to deliver a useful and polished product that assists our users in their moments of need. Furthermore, we were able to support the product with an informational website. In addition to android development, we learned about the challenges of implementing a gesture-based interface. We had to account for many variances in input to ensure the product worked well. Furthermore, the ECM technology used by the Myo armbands was proven to have varying results, as the ECM signals produced by different people can vary significantly. As a result, we had to be careful in our product design to counteract this flaw. The technology underlying myolert provides it potential to become a lifestyle app. For instance, we plan to allow myolert to access notifications so they can be read to the user. This functionality can be exceptionally useful for the visually impaired. Or, perhaps myolert will focus on its potential as a security app and delve into the smart home and home security market. I worked mostly with the Myo SDK for Android, along with other general Android development.